Earlier in the year I had a big health scare. One of my main arteries was almost entirely blocked, and I underwent an emergency angioplasty. Thankfully, I’m recovering and feeling great. And I’m determined not to neglect my heart health again. So when I read about how it’s possible to have the blood vessels of a 20-year-old into my 70s—and the seven steps that could get me there—I got really excited! Now, I’m not 70 yet—I still have a ways to go—but there are people very close to me who are at that age. And a new study is suggesting that it’s possible for 70-year-olds to have the same supple, clear, and healthy blood vessels as a 20-year-old. That gives me something to look forward to and work towards. And, I think it could be very valuable to you, too. The researchers for this study, published in the American Heart Association’s (AHA) Hypertension journal, found that genetics play far less of a role in heart disease and stroke risk than lifestyle factors. And although my heart trouble was a genetic issue, my “Western” lifestyle didn’t help. Like you, I’m not perfect. And I don’t see the point of living to 100 if I can’t do the things that make life great. I like the occasional steak, burger, pizza, and beer. I also like spending an afternoon watching a ball game and relaxing. And, I have a job that requires me to sit all day. In the past, I likely didn’t make the best nutritional choices or get as much exercise as recommended. And it may have contributed to my condition. But, the research of over 3,000 adults ages 50 and up indicates that a healthy lifestyle is central to healthy blood vessels. When you have healthy blood vessels, blood flows easily through your arteries to supply oxygenated blood throughout the body. Your heart doesn’t have to work very hard and your risk for high blood pressure, heart disease, stroke, and certain types of dementia goes way, way down. These conditions, after all, are rarely the concerns of a 20-year-old. But normal, healthy vasculature can be rare at 70. That’s a lot of years of poor diet and inactivity. But, guess what? Even if you’re 40, 50, 60, or older, you can still make big changes to benefit your heart health. I’ve started making better dietary choices by sticking to the 85-15 rule and increasing my activity. The 85-15 rule means that I stick to a healthy diet for 85% of the time and allow myself to have less nourishing options the other 15% of the time. The doctors in the study said there is no real magic bullet to healthy blood vessels, and that it really all comes down to lifestyle. Staying lean and avoiding diabetes were highly associated with young blood vessels in older adults in the study, which is presumably reflected by a healthy diet and exercise. If you hit six of the AHA’s seven lifestyle goals for heart health, you can probably take years off your blood vessels. 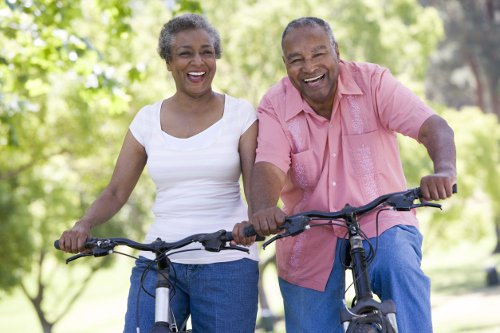 Keep these goals in mind, and you could have strong, healthy blood vessels well into your golden years. Niiranen. T., et al., “Prevalence, Correlates, and Prognosis of Healthy Vascular Aging in a Western Community-Dwelling Cohort,” Hypertension, May 30, 2017. DOI: https://doi.org/10.1161/HYPERTENSIONAHA.117.09026, last accessed June 5, 2017. “Can a 70-Year-Old Have the Arteries of a 20-Year-Old?” Medline Plus, May 30, 2017; https://medlineplus.gov/news/fullstory_166076.html, last accessed June 5, 2017.